This is a OPEN PACKAGE product. 100% functional but may show cosmetic blemishes. Our inventory is tracked in real time. If you can add it to your cart, we have it in stock and ready to ship! 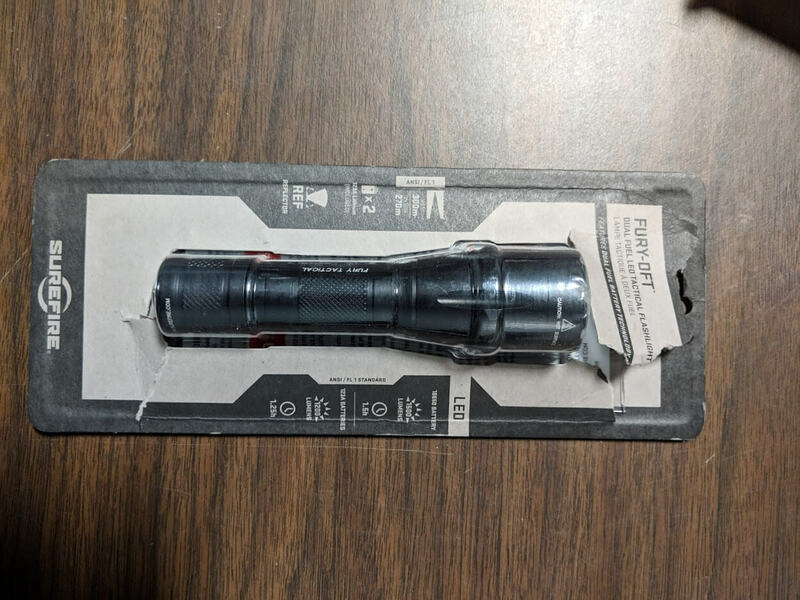 Designed and built for law enforcement and military tactical professionals, SureFire‘s Fury Dual-Fuel Tactical 1,500 Lumen LED Flashlight is a single-output illumination tool with the versatility to run on two kinds of battery: the included CR123A disposables or a rechargeable 18650. 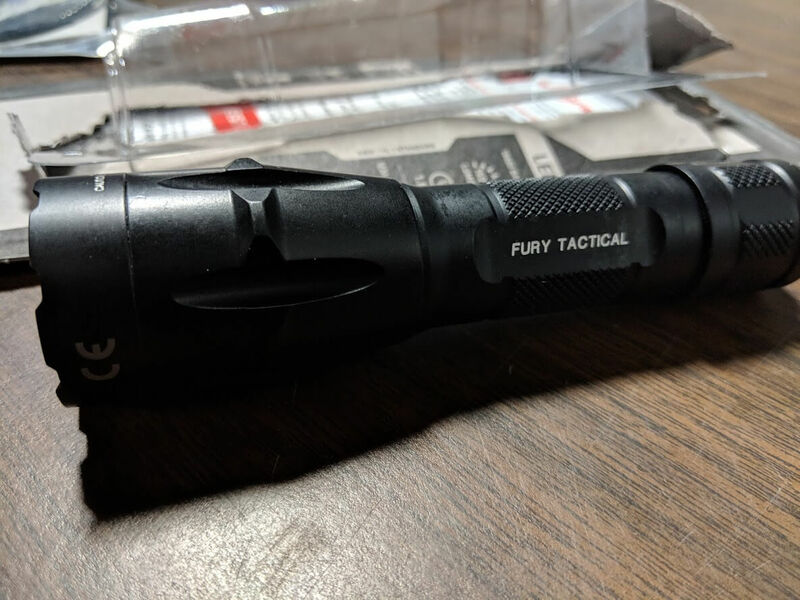 The light employs a click-type push-button tailcap switch and features a Type III hard-anodized aluminum housing with antiroll textured design. Its parabolic reflector creates a smooth, optimized high power 1500 lumen beam with 28,800 candela. Read more about this light on RECOIL Magazine here.